Mennonite Church of Normal is a supporter of two Mennonite church camps, Camp Friedenswald in Cassopolis, MI and Menno Haven Camp & Retreat Center in Tiskilwa IL. They both offer summer camp programs for children and youth, as well as year-round programming for families and special groups. 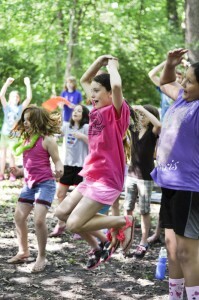 MCN offers scholarships toward the cost of a week of summer camp for congregational children. Registration forms are available on each of the camp’s websites. Contact the Church Office with any questions about the scholarships. 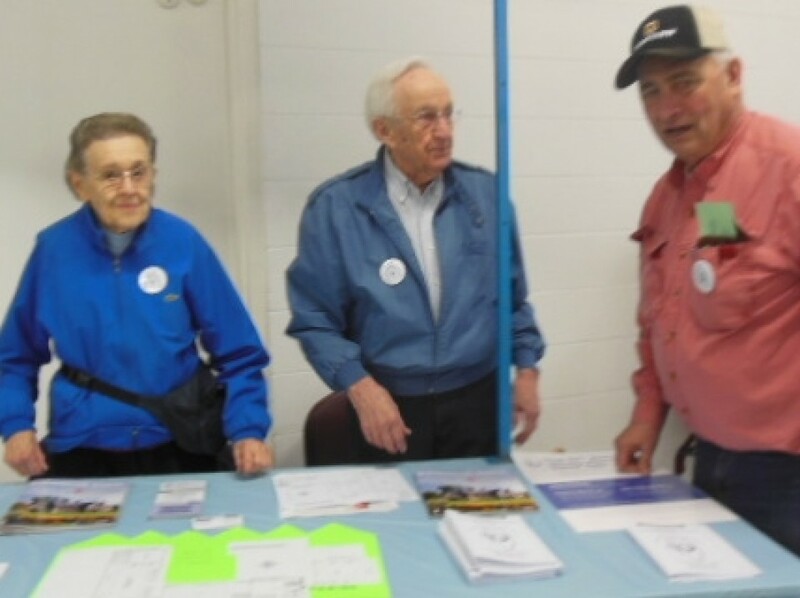 The Illinois Mennonite Relief Sale Board cordially invites everyone to the Illinois Mennonite Relief Sale to be held the third weekend of March, in Interstate Center, Bloomington, Illinois. Annually there are approximately 35 sales held throughout America from the east coast to the west coast and about 11 in Canada. Approximate income from these 46 sales is $5,000,000 annually. 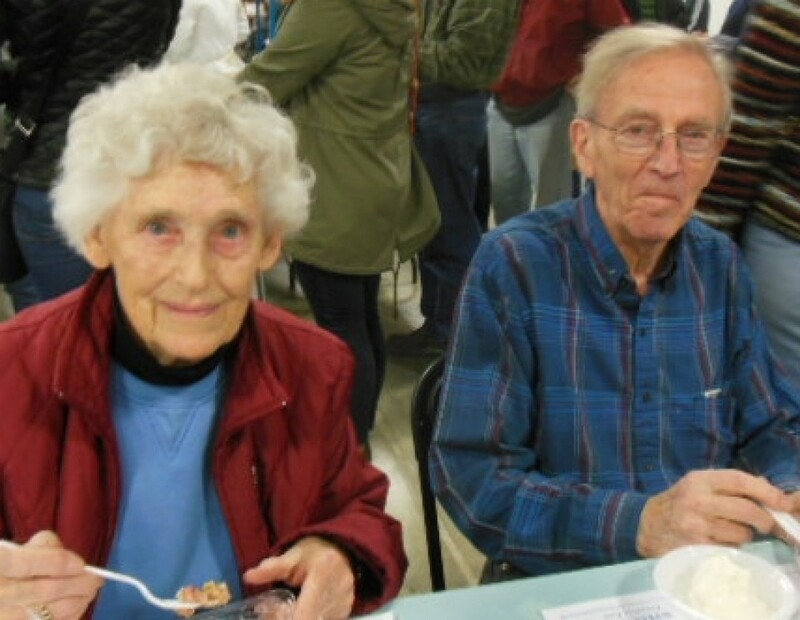 Eighty percent of the net proceeds from this family fare event are channeled through Mennonite Central Committee (MCC), a relief and service agency located in Akron, Pennsylvania. MCC, celebrating 90 years (1920-2010) of serving “In the Name of Christ,” has over 1,000 volunteers working in the United States and 65 other countries of the world. Twenty percent of the Illinois Relief Sale net income is used locally by grassroots volunteers to provide food for the needy in Central Illinois. 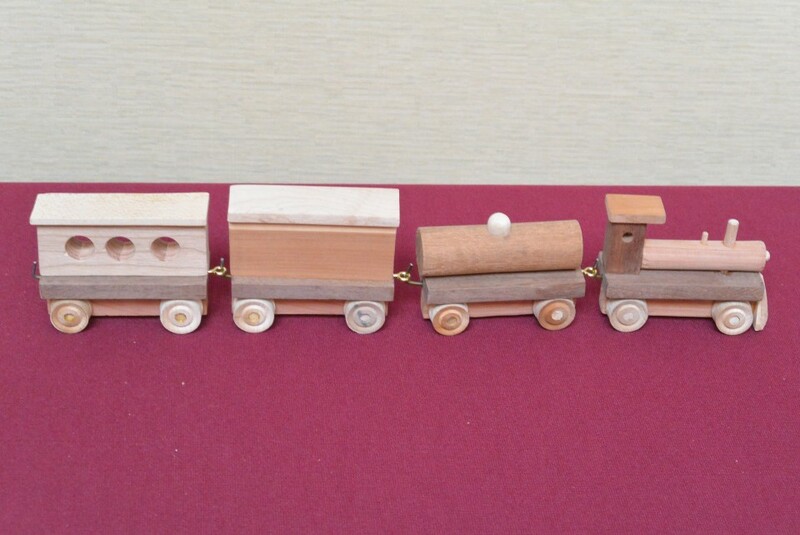 Wesley Hershberger and Sam Warfel created a train from a variety of woods for sale at the Auction. 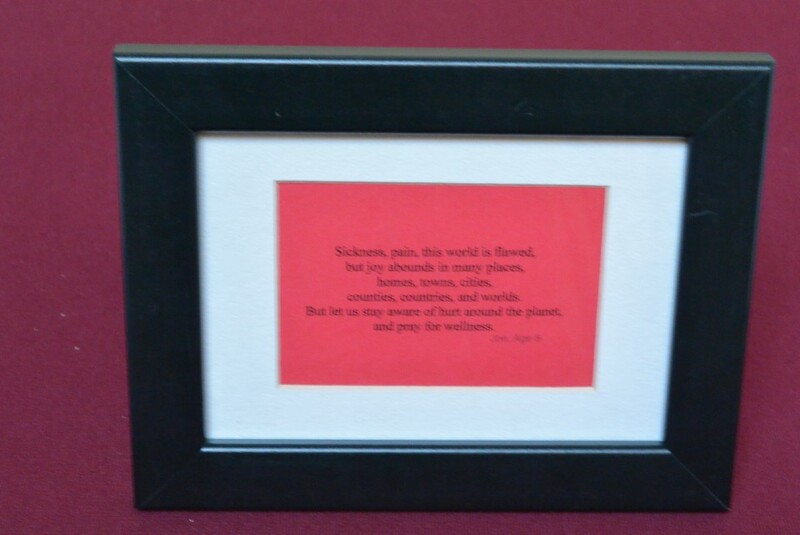 Joe Warfel created a poem for sale at the Auction. 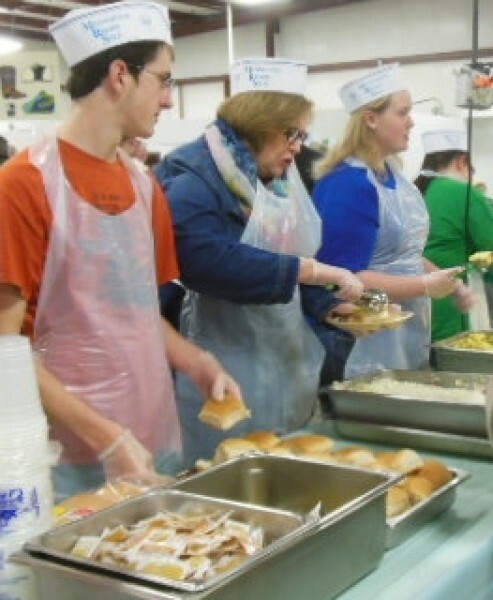 MCNers help serve chicken dinner. MCN Relief Sale efforts are coordinated by Roelie Homan. 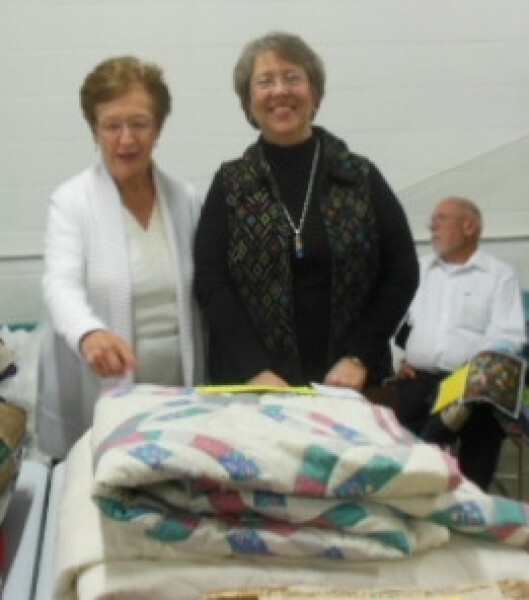 Louise Reeser helps MCN to purchase quilts for the Sale. She is assisted here by Mary Ann Watkins. Shoofly Pie cools on the Friday morning of the sale. 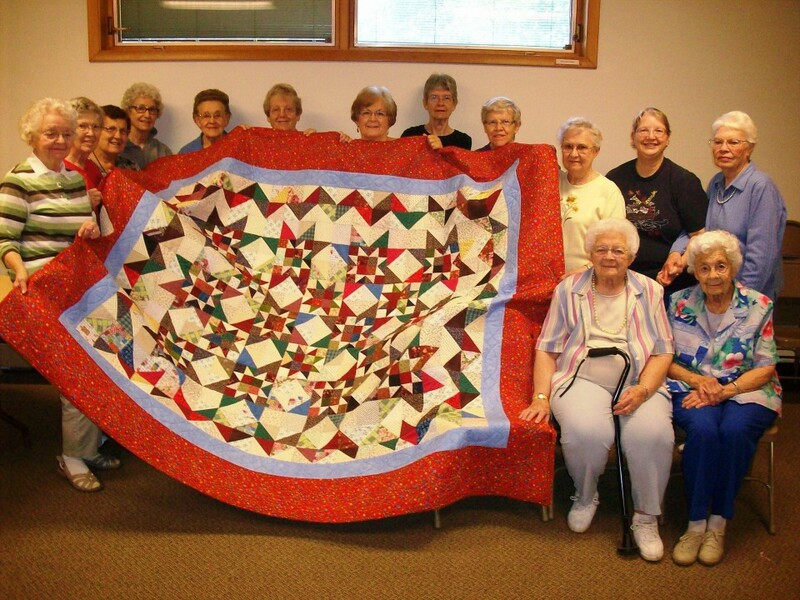 MCN Mennonite Women stitch quilts for the sale. 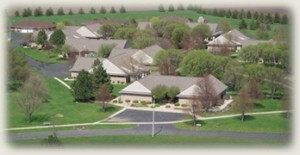 Meadows Mennonite Retirement Community (located in Meadows, Illinois on Route 24) seeks to minister to the elderly in the belief that God desires older persons to enjoy dignity, respect, love and care. Founded in 1919 and opened in 1923, Meadows was established by churches committed to caring for the elderly in need of support services. This association of churches continues to be the foundation of Meadows’ ministry with the vital support and partnership of the local communities of Chenoa and Gridley. 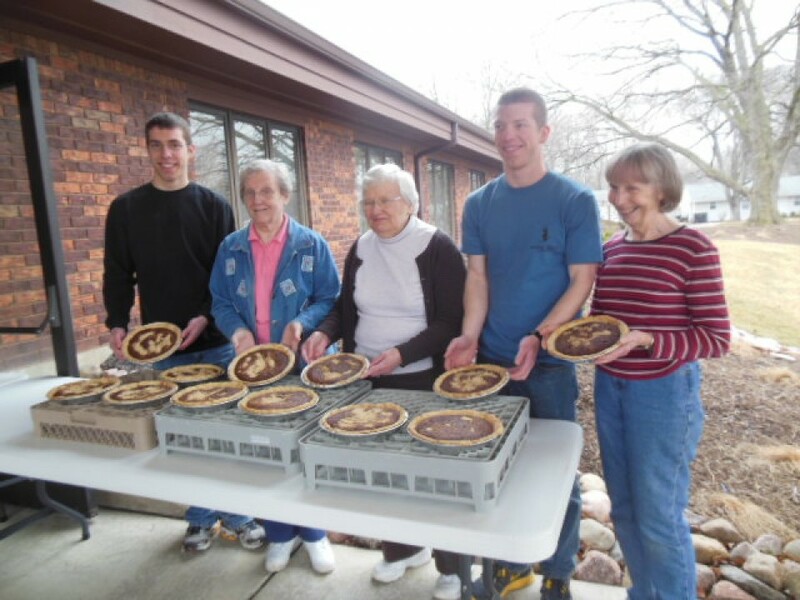 Maple Lawn Homes, Inc. , a nonprofit Christian retirement community founded in 1922 and sponsored by the Mennonite Church, offers a nonsectarian program of retirement housing, nursing care, in-home support services, and a children’s day care. We are dedicated to serving the individual needs of each resident, emphasizing freedom of choice, dignity and self-esteem. Our programs serve not only our residents, but the entire community of Eureka and those living in Woodford and Tazewell counties.